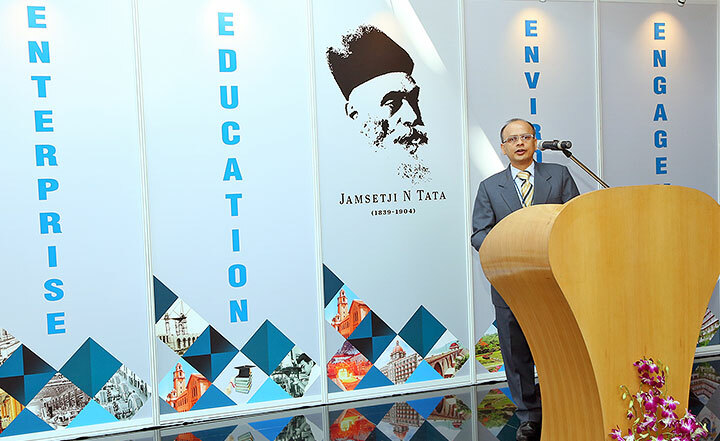 Launched in 2014 to mark the 175th Birth Anniversary of the Founder, the Jamsetji N. Tata Exhibition is specifically designed for the youth with an aim to inspire the younger generation, awaken their concern and love for the country which the life of Jamsetji N. Tata exemplifies. 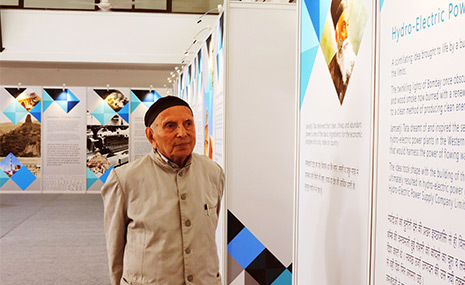 The display area is divided into four sections which highlight the various big and small enterprises started by Jamsetji as well as his work in the field of education, environment and welfare reforms. Enterprise: The Textile Mills, The Taj Mahal Palace Hotel, The Tata Iron and Steel Co. Ltd., The Tata Hydro-Electric Power Supply Co. Ltd. and other innovative projects by Jamsetji. Education: J.N. 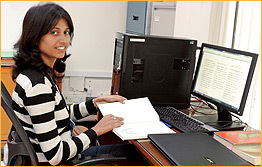 Tata Endowment Scholarships and the Indian Institute of Science. Environment: Cheap and clean electricity; Jamshedpur - an industrial city with provisions from open and green spaces. Engagement: Welfare reforms; legacy continues through the institutions funded by the Sir Dorabji Tata Trust – the Tata Institute of Social Sciences (TISS), the Tata Institute of Fundamental Research (TIFR), the Tata Memorial Hospital and the National Centre for the Performing Arts (NCPA). 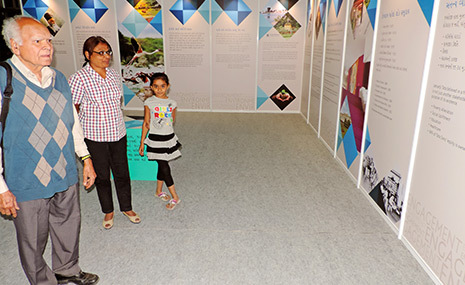 The exhibition area has a central display structure with the Tata Family Tree and photographs of the Tata Family and the Four Planners. 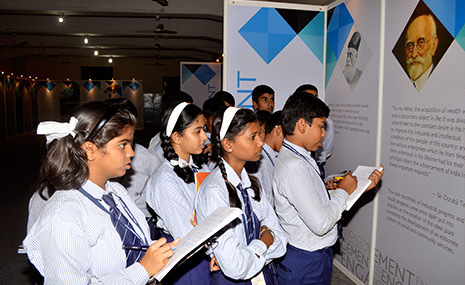 The exhibition also includes a film on the life of Jamsetji Tata and an attractive and fun quiz session. 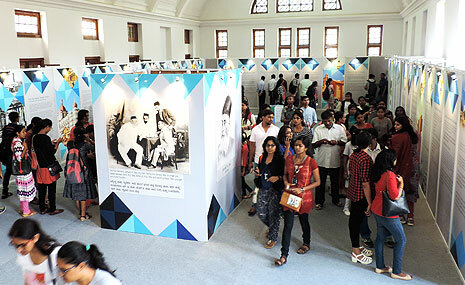 The exhibition was first showcased at Mumbai. It was later taken to Pune, Delhi, Navsari, Nagpur, Bengaluru, Hyderabad and Ahmedabad. 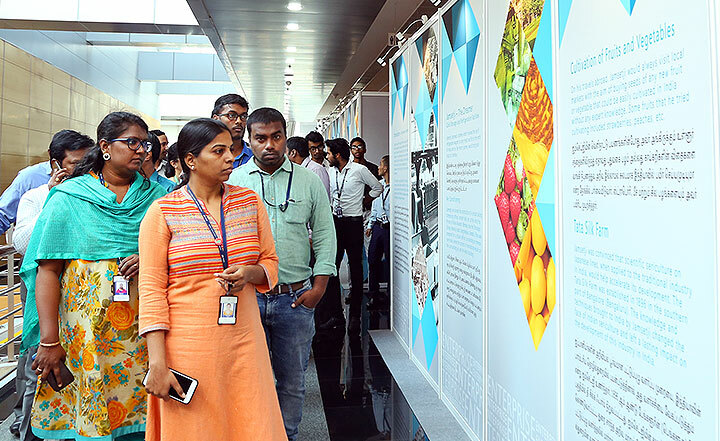 As part of the 50th year celebrations of Tata Consultancy Services (TCS), the Tata Central Archives (TCA) organised the Jamsetji N. Tata Moving Exhibition at the TCS campus in Siruseri, Chennai from January 28 to February 1, 2019. 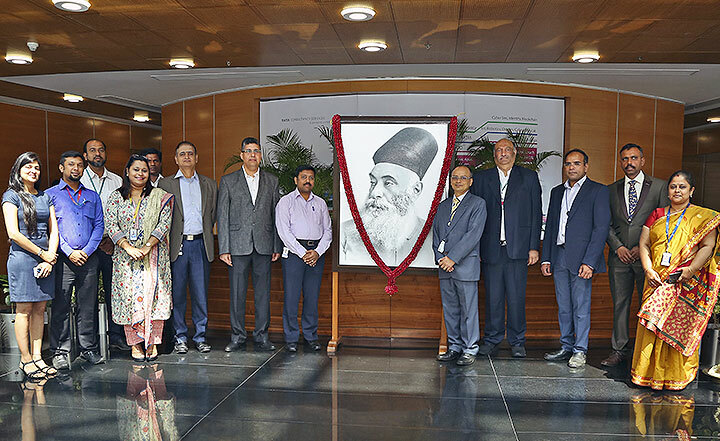 This is the first time that the Jamsetji N. Tata Moving Exhibition has been hosted exclusively for Tata employees in the premises of the company with the aim to inspire them to imbibe the values of our Founder, Jamsetji Tata. Mr. Suresh Raman, Vice-President and Regional Head, TCS, Chennai on the 28th of January 2019. Mr. Ranganathan Sundaram, Global Head of Marketing Transformation and Operations TCS, Col. Kumaran, . . . . . 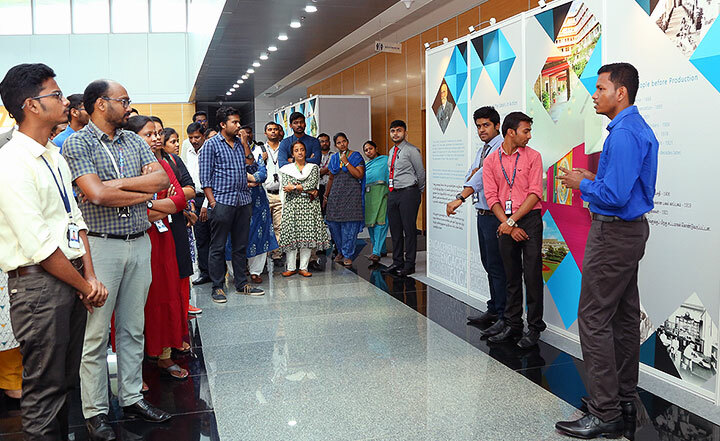 Branch Administration Head, TCS, Chennai, Mr. Venkateswaran Raman, HR Head, TCS, Chennai, Mr. Zubin Mistry, Vice-President, Finance, Tata Services; Mr. Rajendra Prasad Narla, Archivist, Tata Central Archives and employees from TCS were also present on this occasion. 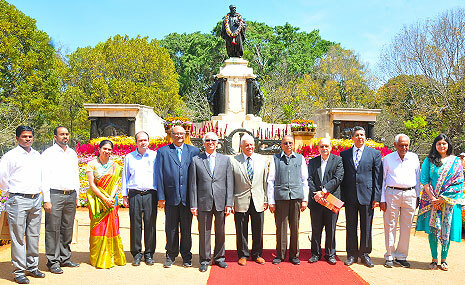 The inauguration was preceded by garlanding the portrait of Jamsetji Tata and lighting the traditional lamp. 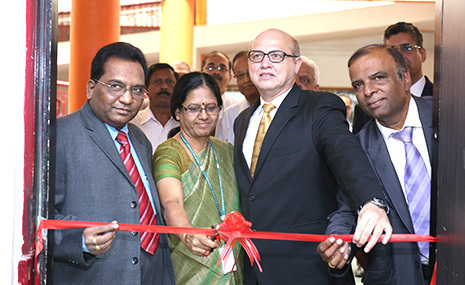 Mr. Suresh Raman, Vice-President and Regional Head, TCS, Chennai inaugurating the exhibition. 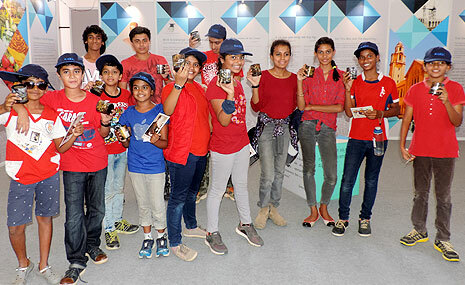 To commemorate the 150 years of the Tata group, Tata Central Archives in association with the Tata Sports Club organised its ninth mobile exhibition during the Tata Sangam 2018 event at the RSI Grounds, Bengaluru on the 25th of February 2018. The exhibition was presented in a bi-lingual format i.e. English and Kannada. Tata Sangam 2018 is an annual mega cultural event organised by the Tata Sports Club for Tata group employees and their families. Several Tata companies put up stalls during this event showcasing their goods and services. The highlight of the event however, this year was the J.N. Tata Exhibition. 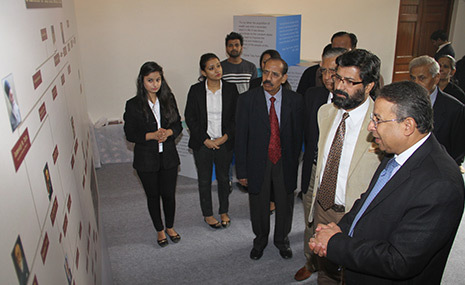 The exhibition was jointly inaugurated by Mr. B. Muthuraman, Former Vice-Chairman, Tata Steel and Mr..Bhaskar.Bhat, Managing Director, Titan Company Limited and President, Tata Sports Club, Bangalore. Members of the Tata Sports Club, employees from Tata companies and the TCA team were also present for the inauguration. 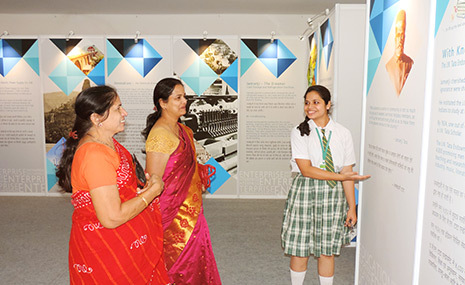 The exhibition was open to all Tata company employees and their families. Over 5000 people visited the exhibition during the course of the day. 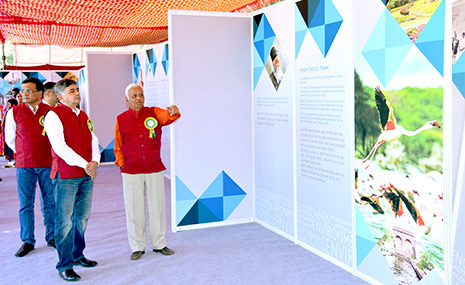 Mr. B. Muthuraman, Former Vice-Chairman, Tata Steel, .Mr..Bhaskar Bhat, Managing Director, Titan Company Ltd. and President, Tata Sports Club, Bangalore viewing the panels on display. Mr. B. Muthuraman sharing his thoughts on the panels with . Mr..S. Padmanabhan, Group CHRO. Mr. S. Padmanabhan engrossed in reading the panels on Environment. Employees and their families viewing the panels. A group photograph taken during the inauguration of the exhibition. (Left to right): Mr. Akshel Kuruvilla, Tata.Housing.Development.Co. Ltd., Colonel S. R. Kiran, Titan Company Ltd., Ms. Neetha Melantha, Tata.Consultancy.Services, Mr. B. S. Vedavyas, Vice-President, Tata Sports Club, Bangalore, Mr. Bhaskar Bhat, Managing Director, Titan Company Ltd. and President, Tata Sports Club, Bangalore, Mr. B. Muthuraman, Former.Vice.-.Chairman, Tata Steel, Mr. G.V. Rao, Tata Motors Ltd., Mr. Sheshagiri, Tata Consulting Engineers, Mr..S..A..Sayyed, and Mr. H. G. Sayyed, Tata Central Archives, Mr. M. D. Gousuddin, Tata Communications and Mr..Janakiraman, Tata Advanced Materials. 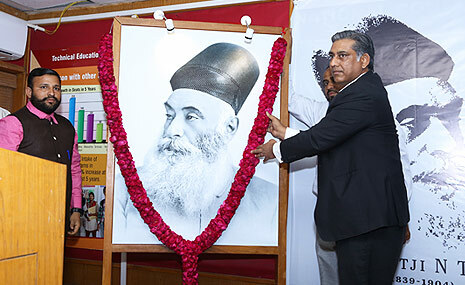 Embarking on the idea of widening its outreach program and with the aim of inspiring the youth of today to follow in the footsteps of Jamsetji Tata, the Tata Central Archives (TCA) in association with Tata Consulting Engineers (TCE) organised its eighth mobile exhibition at the Lalbhai Dalpatbhai College of Engineering, Ahmedabad from January 22 to 25, 2018. The Exhibition was presented in a bi-lingual format i.e. English and Gujarati. 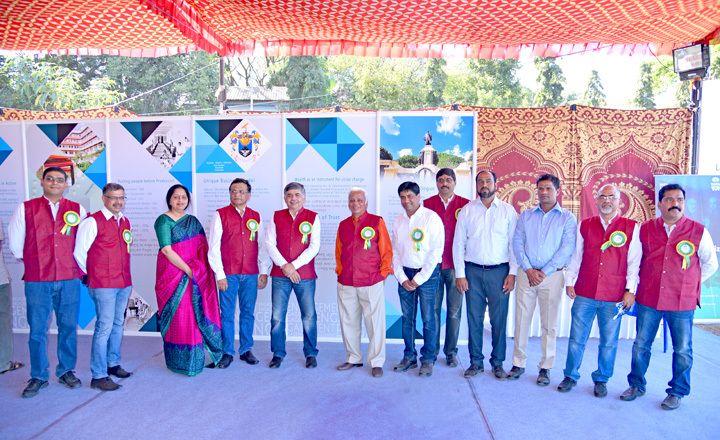 The exhibition was jointly inaugurated on the 22nd January by Mr. F. N. Subedar, Chairman, Tata Services Limited, Mr. Amit Sharma, Managing Director, Tata Consulting Engineers and Dr. Vadodaraia, Principal, Lalbhai Dalpatbhai College of Engineering, Ahmedabad. Mr. Z. D. Mistry, Vice-President – Finance, Tata Services Limited also graced the occasion with his presence. 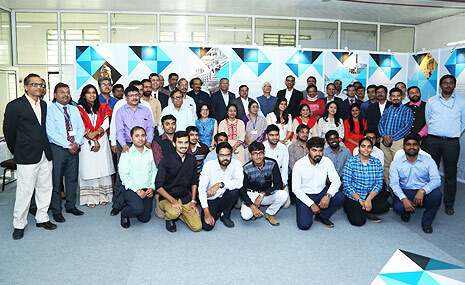 Employees from Tata Central Archives, other Tata companies, TCE personnel and students of Lalbhai Dalpatbhai College of Engineering were also present for the inauguration. In his address, the chief guest, Mr. F. N. Subedar, spoke about the pioneering efforts of Jamsetji and said, "Even in the 19th century he was dreaming about iron and steel, textiles and power plants which are relevant even today. His visionary dreams were carried on by his successors. He also thought about education when there were no educational institutions in the country. 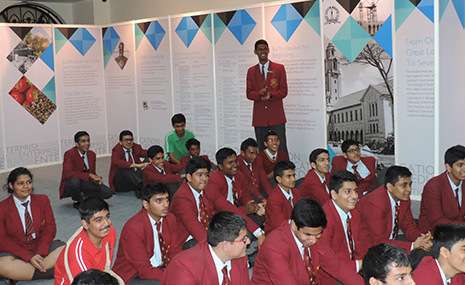 He sent students abroad for higher education and thus the JN Tata Endowment Fund was born. Speaking on the occasion, Dr. Vadodaria said that he was honoured to host such an event and would like to be associated with many more such events. 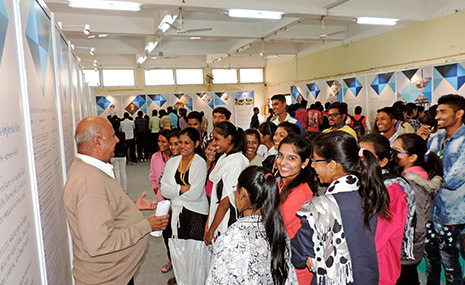 The exhibition was open for school and college students from the 22nd to the 25th of January. 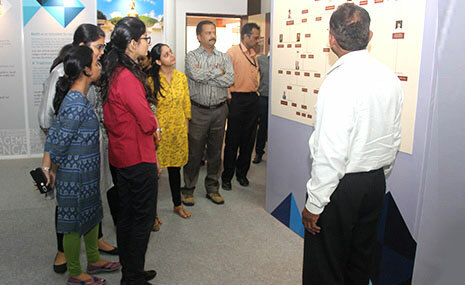 Tata employees, TCE stakeholders and the general public also had an opportunity to view the exhibits. 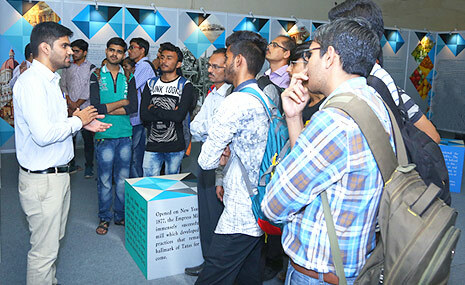 The exhibition was anchored by fifteen students from Lalbhai Dalpatbhai College of Engineering. The total number of visitors over the course of the four days was 1165. 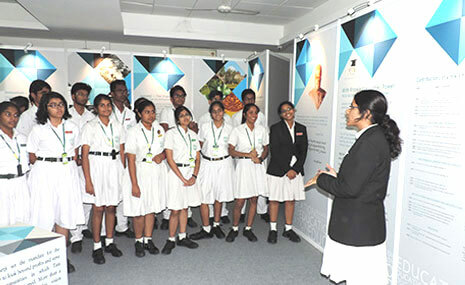 Embarking on the idea of widening its outreach program and with the aim of inspiring the youth of today to follow in the footsteps of Jamsetji Tata, the Tata Central Archives (TCA) in association with Tata Projects Limited, Tata Consultancy Services, Tata Advanced Systems Limited and Delhi Public School organised its seventh mobile exhibition at the Delhi Public School, Khajaguda Village, Hyderabad from November 27 to December 2, 2017. The Exhibition was presented in a bi-lingual format i.e. English and Telugu. This collaborative effort was initiated by Mr. T.R. Doongaji, a first of its kind by TCA. 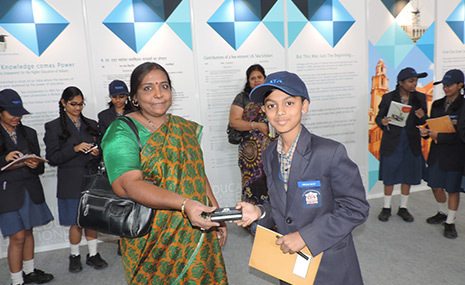 Mr. S. R. Venkatesan of Tata Advanced Systems Limited and Ms. V. Geetha, Principal, Delhi Public School (DPS), Khajaguda. Vice-President – Finance, Tata Services Limited also graced the occasion with their presence. Mr. Rajanna spoke about Jamsetji’s belief that in a free enterprise, the community is not just another stakeholder in business, but is in fact the very purpose of its existence. He also highlighted Tata’s contribution to business and society. 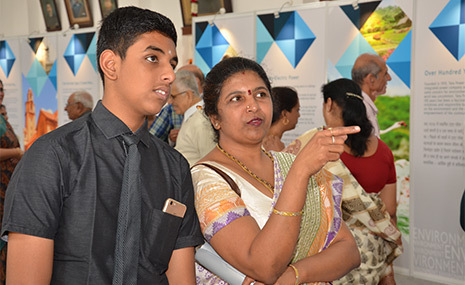 The exhibition was open for school and college students from the 27th to the 30th of November. 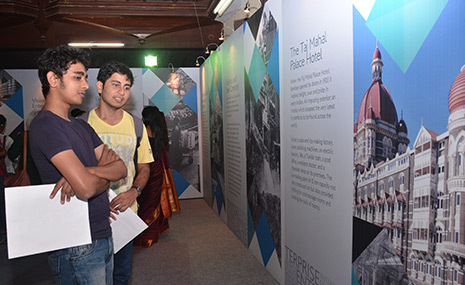 Tata employees and the general public had an opportunity to view the exhibits on the 1st and 2nd of December. 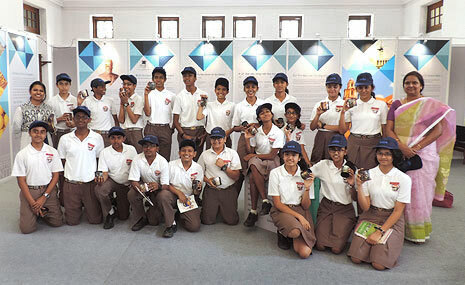 The exhibition was anchored by twelve students from DPS school. 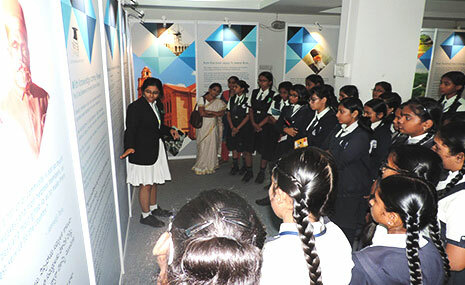 Over 100 students from the Zilla Parishad Girls' School (Medchal) travelled a distance of more than 50 kms to visit the exhibition. The total number of visitors over the course of the six days was 1130. 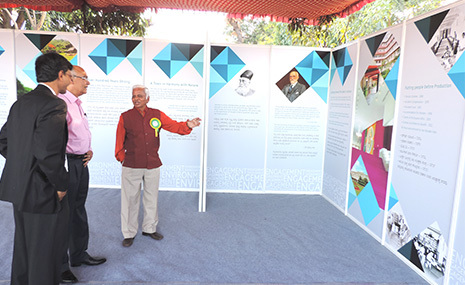 Dignitaries paid tribute to the Founder prior to the inauguration of the exhibition. 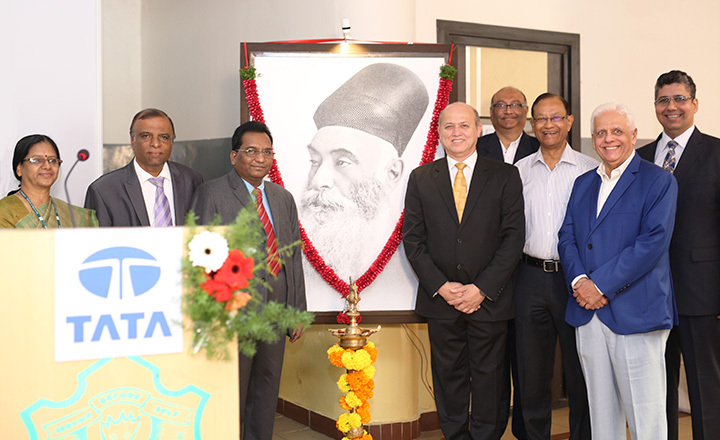 To commemorate the 178th birth anniversary of Jamsetji N. Tata, Tata Central Archives organised the sixth edition of the Moving Exhibition on the Founder of the Tata group at one of his visionary projects, the Indian Institute of Science (IISc), Bengaluru. 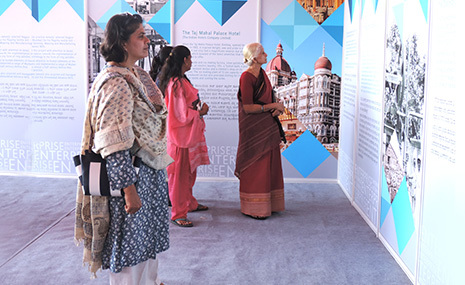 The exhibition, which was previously showcased in Mumbai, Pune, Delhi, Navsari and Nagpur, was presented in a bi-lingual format — in English and Kannada. 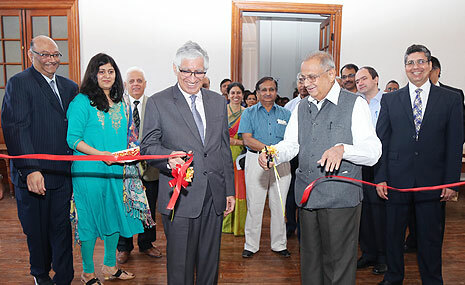 The exhibition was jointly inaugurated by Prof. P. Rama Rao, Chairman of the Council, IISc, and Mr. Farokh N. Subedar, Chairman, Tata Services, and Chief Operating Officer, Tata Sons, on March 3, 2017, in the main building of IISc. The exhibition was held from March 3-9, 2017, (excluding March 5). 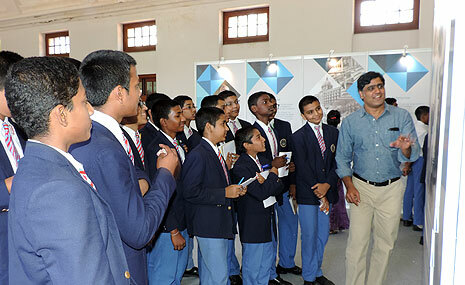 On March 3, the exhibition was exclusively opened to the IISc fraternity. 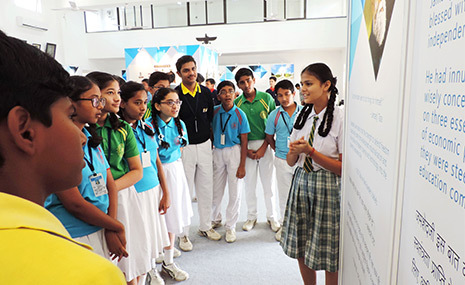 This was followed by the IISc Open Day on March 4, which gave visitors an opportunity to not only view the exhibition but also visit the various departments of IISc that were open to the public for a day. 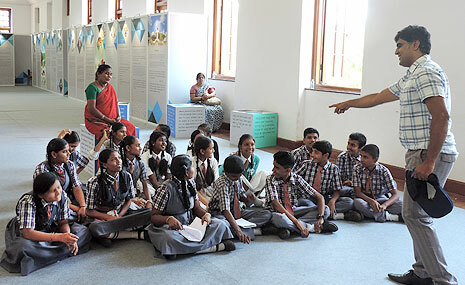 Group tours for educational institutions were organised from March 6-9. 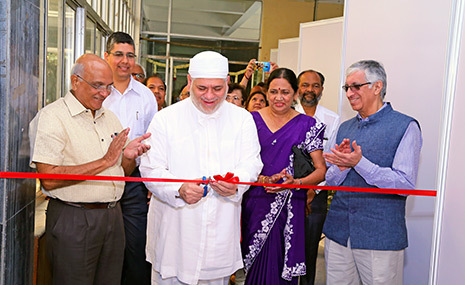 Over 8,000 people viewed the exhibition, including members of the public, IISc fraternity, Tata employees and academic institutions. 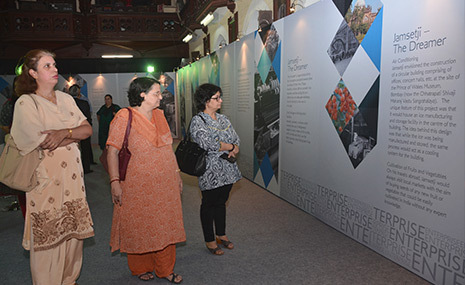 The Tata Central Archives (TCA) organised the 5th Jamsetji N. Tata Moving Exhibition in Nagpur, home to the Founder’s first flagship venture – the Empress Mills. The aim is to inspire the youth of today to follow in the Founder’s footsteps, as well as to widen TCA’s outreach programme. 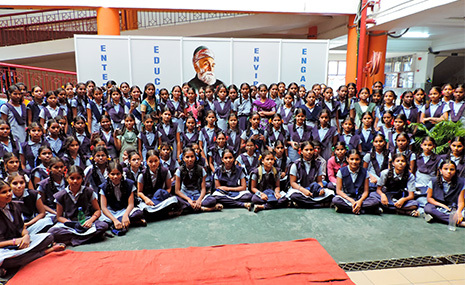 This initiative was started in 2014 to commemorate the 175th Birth Anniversary of the Founder. 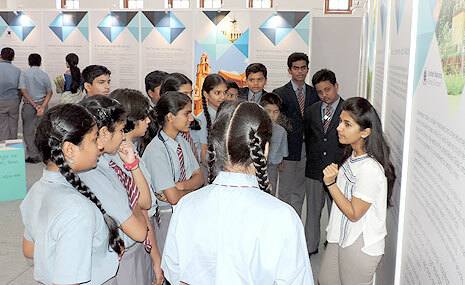 Specially curated for school and college students, the exhibition was first showcased at Mumbai. It was later taken to Pune, Delhi and Navsari. Prof. Dr. Mehru Major Dadachanji, Managing Trustee, J.N. 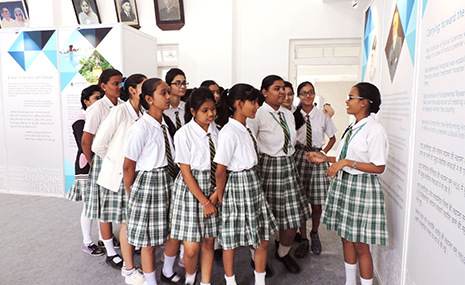 Tata Parsi Girls’ High School & Junior College, inaugurated the Jamsetji N. Tata Moving Exhibition, Nagpur at the Dr. Dadi Balsara Memorial Hall on 14th November 2016. Mr. Lokesh Srivastava, Chief Operating Officer - Aerospace Business Unit, TAL Manufacturing Solutions Limited, also graced the occasion with his presence. The exhibition was held from November 14th to 19th, 2016. This was the second bi-lingual exhibition (English and Hindi) curated by TCA. 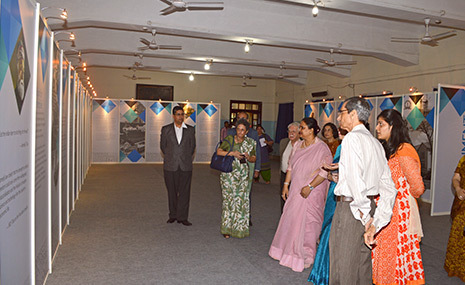 Earlier, the exhibition at Navsari was curated in Gujarati and English. The following educational institutions attended: J.N. 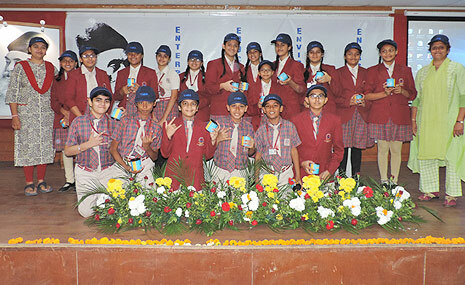 Tata Parsi Girls' High School; Podar World School; Bhavan's Bhagwandas Purohit Vidya Mandir, Trimurty Nagar; Jain International School; Chanda Devi Saraf School (CDS) - Hingna Branch; Chanda Devi Saraf School (CDS) - Katol Branch; Saraswati Vidyalaya; Bhola High School; Bhavan's Bhagwandas Purohit Vidya Mandir, Sri Krishna Nagar; J.N. Tata Parsi Girls' Junior College, and G.S. College of Commerce and Economics. 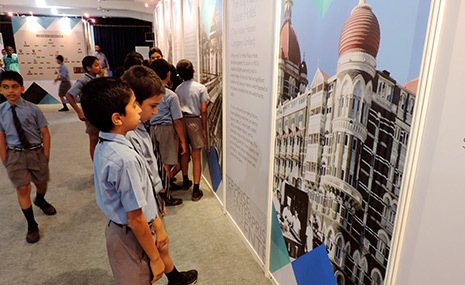 The total number of visitors over the course of the six days was 1406, including teachers, students, members of the public, employees from TAL Manufacturing Solutions and several ex-Tata Mills employees. Jamsetji N. Tata Moving Exhibition, Navsari. 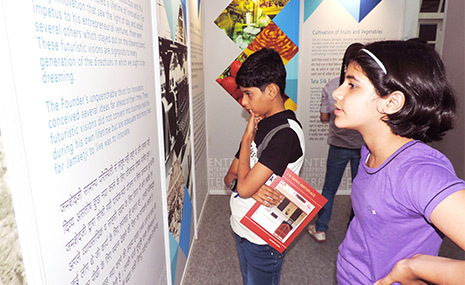 The Jamsetji N. Tata Moving Exhibition was held at the J.N. 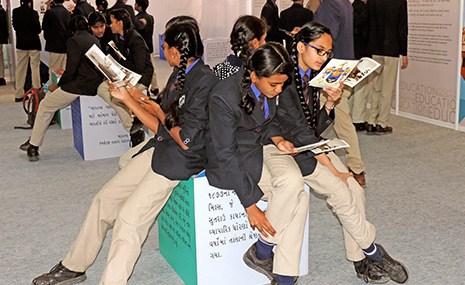 Tata Memorial Centre, Exhibition Hall, Navsari, from January 22 to 29, 2016. The exhibition was inaugurated by Vada Dasturji Saheb Khurshed K Dastoor of Udvada. F.N. 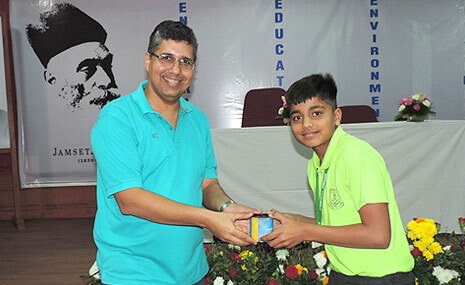 Subedar, Chairman, Tata Services Limited, was the Chief Guest on the occasion. This exhibition had a number of firsts to its credit. 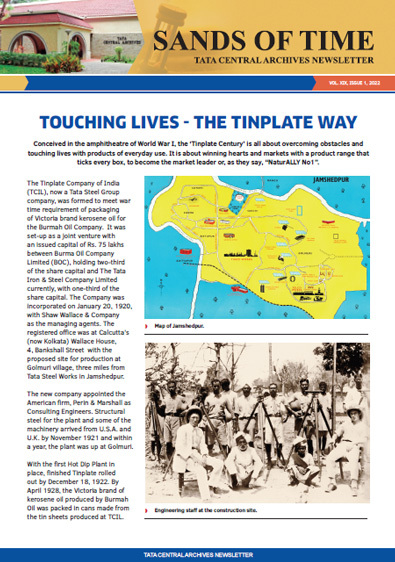 Not only was it the first bilingual exhibition in this series (Gujarati and English), it was also entirely executed by the TCA team who undertook the re-design of panels, fabrication, procurement of raw material and equipment, logistics, installation of the exhibit and organisation of the event. Over 15 academic institutions participated. These included -D.K. Tata High School; SFA Convent High School; Divine Public School; Bhaktashram School; Sir R.J.J. High School; Mahila Vidhya Bhavan High School, Sanskar Bharti High School; H.C. Parekh Navsari High School; Sir C.J.N.Z. Madresa; Bai Navajbai Tata Girls High School (Gujarati); Bai Navajbai Tata Girls High School (English ); S.B. 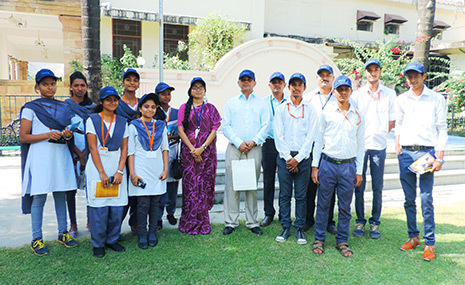 Garda College; AV Patel Commerce College; Government Polytechnique College; Government Engineering College, Valsad; B.P. Baria College; Nehru Yuva Kendra and the Industrial Training Institute. For the first time, the event was also open to the general public. The total number of visitors over the course of the eight days was 2411. Vada Dasturji Saheb Khurshed K. Dastoor of Udvada inaugurated the exhibition. Also seen is: F.N. Subedar, Chairman, Tata Services Ltd.; Trustees, J.N. Tata (House) Birthplace Trust; Medha and Gopal Trivedi (Translators); and TCA staff. 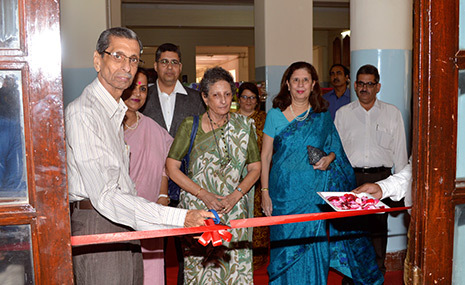 The Jamsetji N. Tata Moving Exhibition was held at the Modern School, Barakhamba Road, New Delhi from December 7 to 11, 2015. 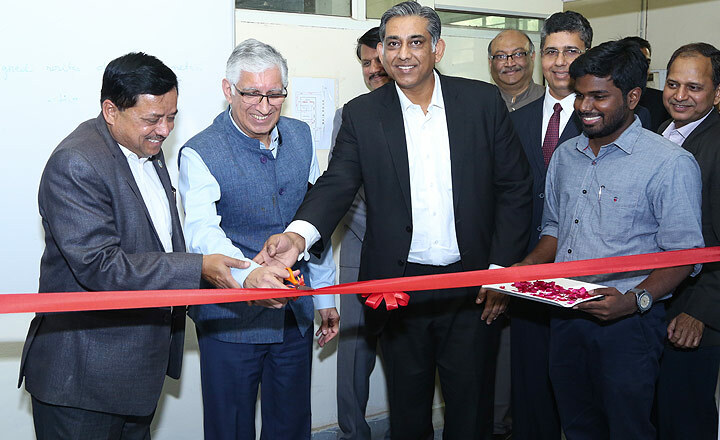 Praveer Sinha, Chief Executive Officer and Managing Director, Tata Power Delhi Distribution Limited, inaugurated the exhibition on December 7, 2015. Dr. Vijay Dutta, Principal of the School also graced the occasion with his presence. 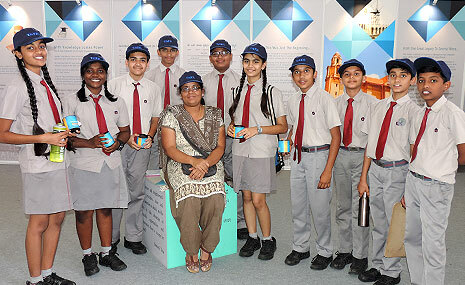 Four schools from Delhi participated in the exhibition - Modern School, Barakhamba Road; Modern School, Vasant Vihar; The Air Force School and Ramjas School, R.K. Puram. 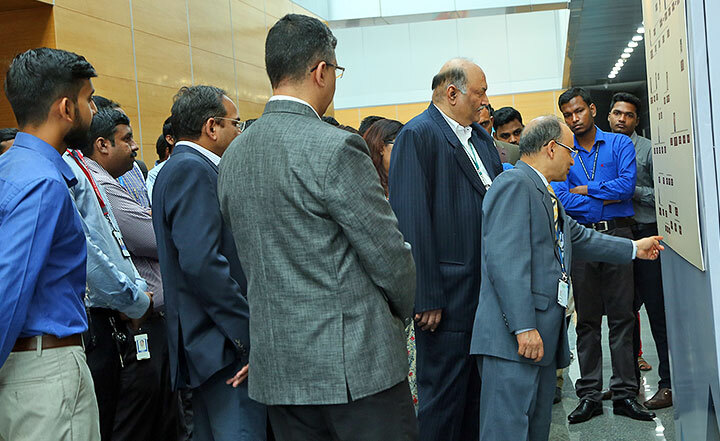 The exhibition was also open to Tata employees and their families. The total number of visitors over the course of the five days was 665. 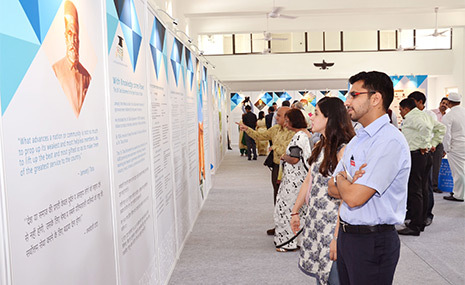 Praveer Sinha, CEO and MD, Tata Power Delhi Distribution Ltd., who inaugurated the exhibition at Modern School, Barakhamba Road, Delhi, viewing the Tata Family Tree. 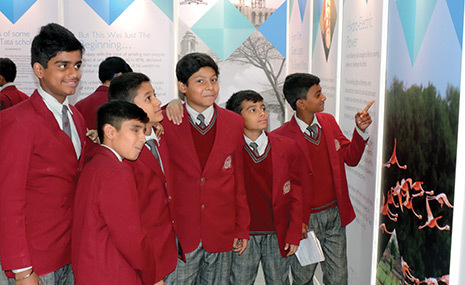 A group of students from Ramjas School viewing the exhibition panels. 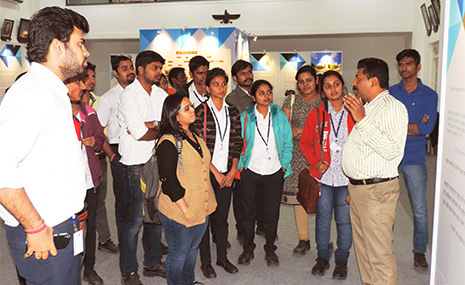 Employees from Tata Chemicals Ltd. travelled from Babrala to visit the exhibition. 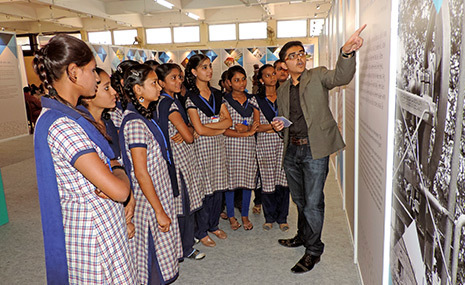 Students from Modern School viewing the panels on display. 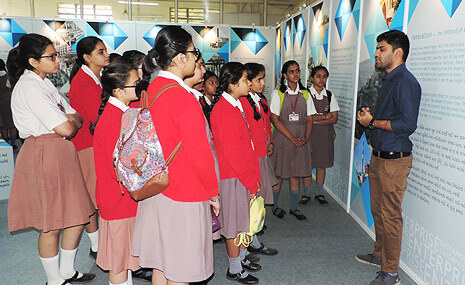 Students from the Air Force School on a tour of the exhibition. Jamsetji N. Tata Moving Exhibition, J.N. Petit Technical High School, Pune. 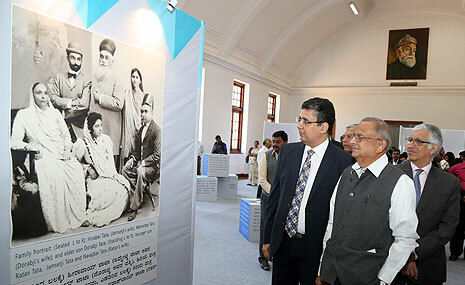 The Jamsetji N. Tata Moving Exhibition was showcased at J.N. Petit Technical High School, Pune from September 7 to 11, 2015. 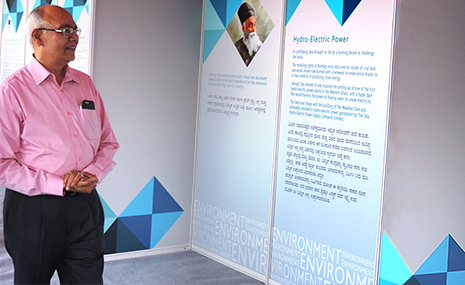 Adi Engineer, Former Managing Director, Tata Power Ltd. inaugurated the exhibition on September 7, 2015. Dr. Nawaz Mody, Advisor, J.N. 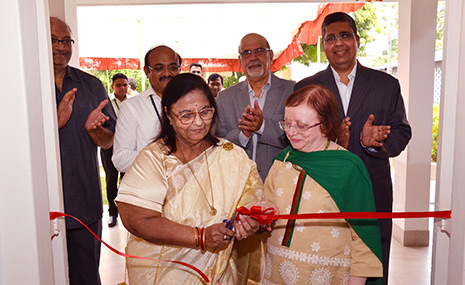 Tata Endowment for the Higher Education for Indians also graced the occasion with her presence. 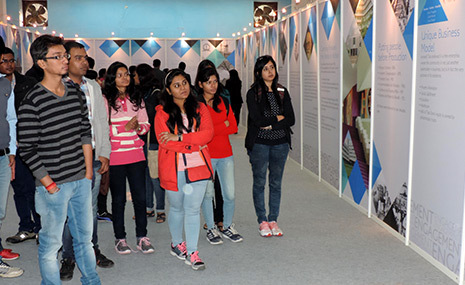 In the course of the five days, over 1770 students from 12 schools in Pune attended the exhibition. 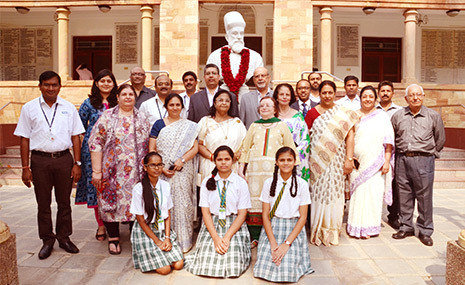 This included— Saraswati Vidyalaya Union High School & Junior College; Rasiklal M. Dhariwal E.M. School & Jr. College; Bharti Vidyapeeti English Medium School (Erandwane); Anjuman-I-Islam APM English Medium School; Sardar Dastur Nosherwan Girls' High School; New India School; Sardar Dastur Hormazdiar High School; Vidya Pratishthan's New Bal Vikas Mandir, Baramati; BVB's Paranjape Vidya Mandi Kothrud; Sardar Dastur Hoshang Boys' School and Stella Maris School. However, TCA was unable to accommodate requests from all the schools. 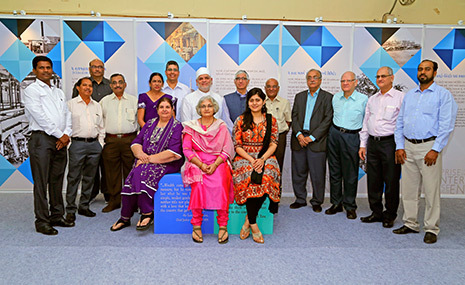 Due to this overwhelming response it was decided to re-organise the Exhibition from September 14 to 21, 2015, at the Tata Central Archives (TCA), Pune. 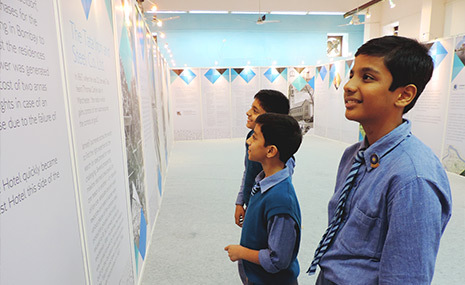 Around 889 students, along with their teachers visited the exhibition at TCA— Bishop's School and Junior College, Camp; Anjuman-I-Islam APM English Medium School; St. Joseph Boys' High School; MES Boys High School; Bopkhel PCMC, School No.101 and Pawar Public School. The total number of visitors at both venues was 2,631. 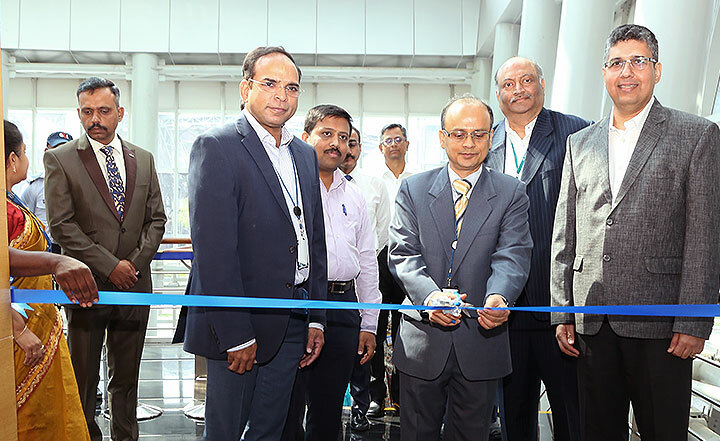 Adi Engineer, Former Managing Director, Tata Power Ltd., inaugurating the Exhibition. 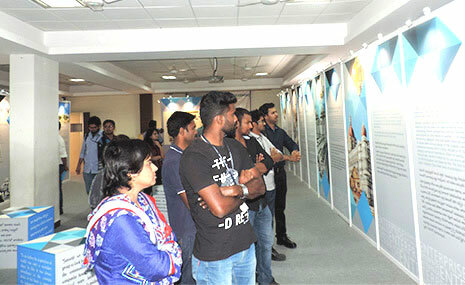 Guests viewing the panels on Display. Students from Bharati Vidyapeeth High School, Erandawane taking notes and preparing for the quiz. Some of our youngest visitors from the J.N. Petit Technical High School. 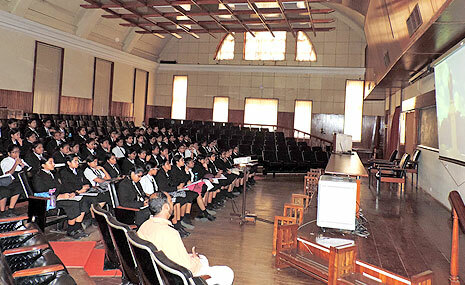 Students from Bishop's Junior College, Camp during a quiz session at TCA. 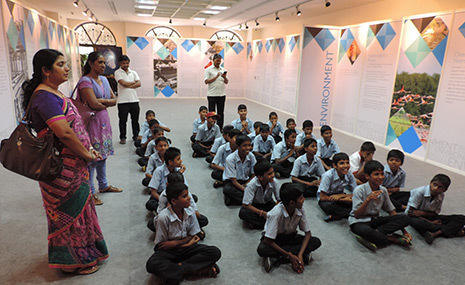 Students from Bopkhel PCMC, School No.101 visited the Exhibition at TCA. 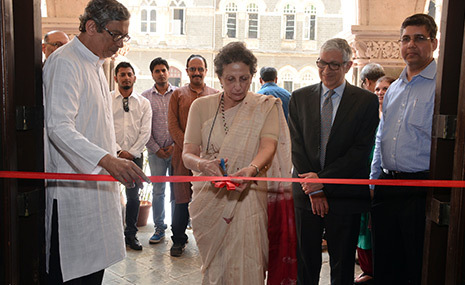 The Jamsetji N. Tata Moving Exhibition was held at St. Xavier's College, Mumbai from February 23 to 25, 2015. 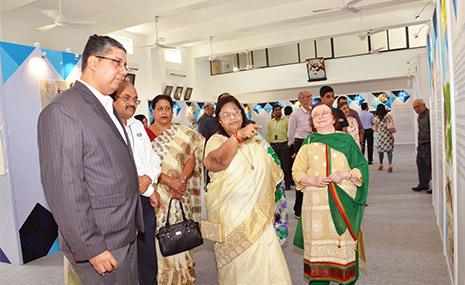 The exhibition was inaugurated by Dr. Nawaz Mody, Director, J.N. Tata Endowment for the Higher Education of Indians. F.N. Subedar, Chairman, Tata Services Limited and Fr. 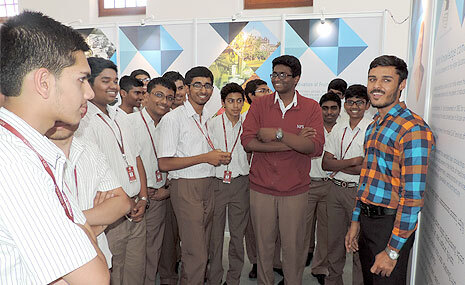 Frazer Mascarenhas, Principal, St. Xavier's College also graced the occasion with their presence. 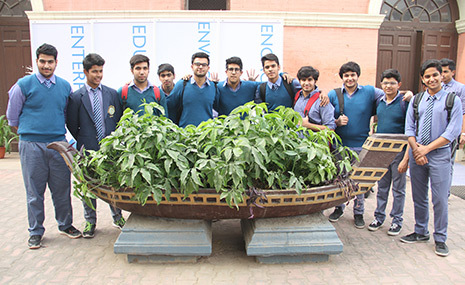 The following schools and colleges participated in the Exhibition - Bharda New High School and Junior College; Ruia College; Khalsa College; Bai R.F.D. Panday Girls High School; Bai B.S. Bengallee High School; J.N. Petit Technical High School, Pune; Bai M.N. Gamadia Girls High School and Sir J.J. Fort Boys' & Girls' High School. 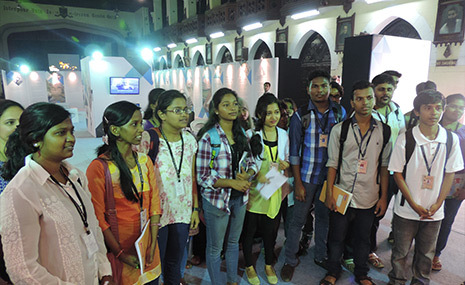 In the course of three days the Exhibition was visited by around 600 students. Inauguration of the Jamsetji N. Tata Exhibition. (From L to R) Reverend Father Frazer Mascarenhas, Dr. Nawaz Mody, F.N. Subedar and Z.D. Mistry. Principals of the Bai R.F.D. Panday Girls' High School, Bai M.N. Gamadia Girl's High School and Bai B.S. 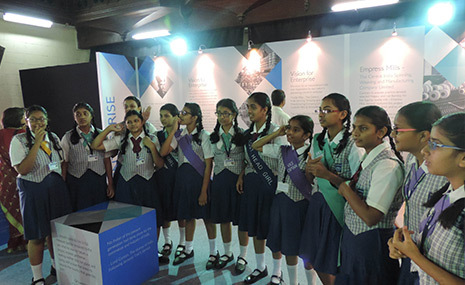 Bengallee Girl's High School going around the exhibition hall. 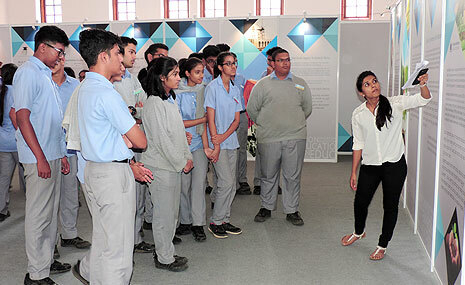 Students from St. Xavier's College, viewing the panels on display. Students and teachers from the G.N. Khalsa College on a guided tour. Students from Bai B.S. Bengallee Girl's High School participating in the quiz. Students Bai R.F.D. 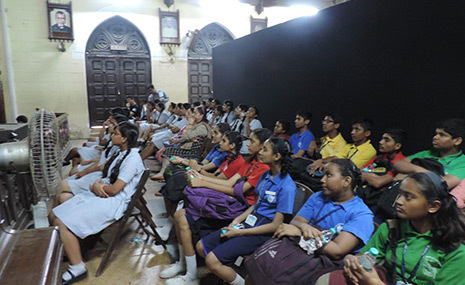 Panday Girls' High School, and Sir J.J. Fort Boys' & Girls' High School, viewing the film.